"I don't like blanching asparagus," says David Chang. The star chef reveals his preferred method and a super-simple recipe for the vibrant spring vegetable. 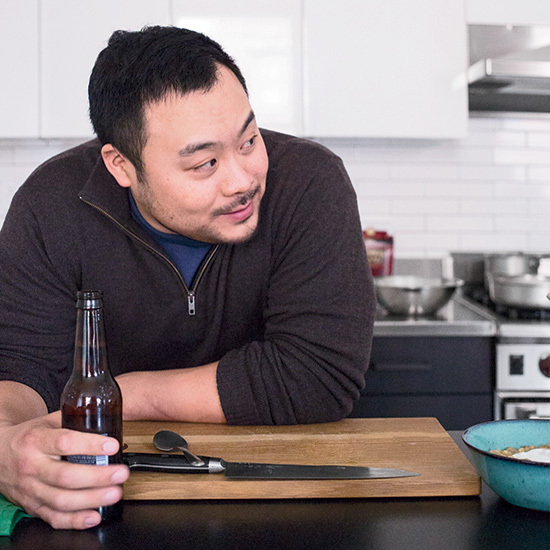 "I don't like blanching asparagus," says David Chang. "You leach out all the flavor. Pan-roasting is much better." His clever recipe calls for topping the tender spears with a delicate, super-simple sauce made from puréed asparagus.